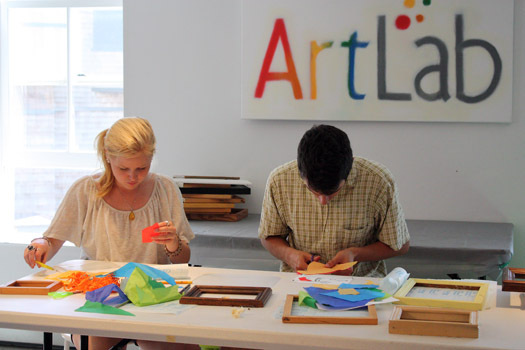 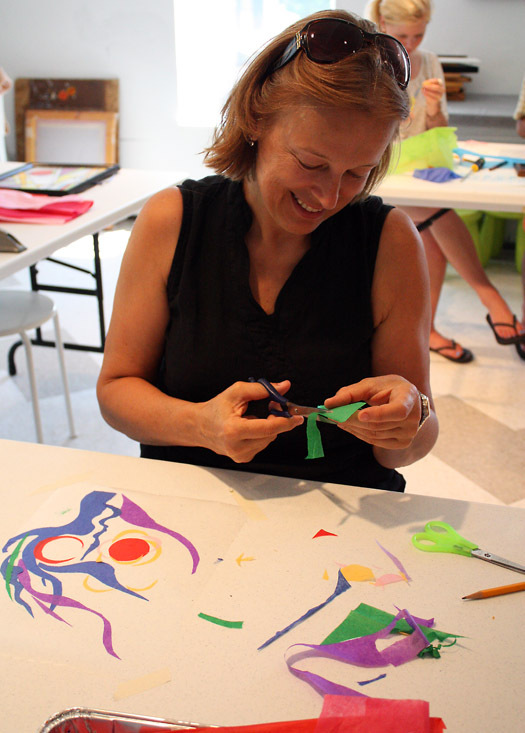 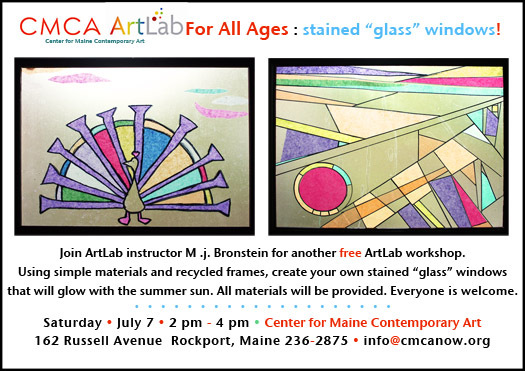 Yesterday, on a super hot summer afternoon, I led another workshop at the Center for Maine Contemporary Art’s ArtLab. 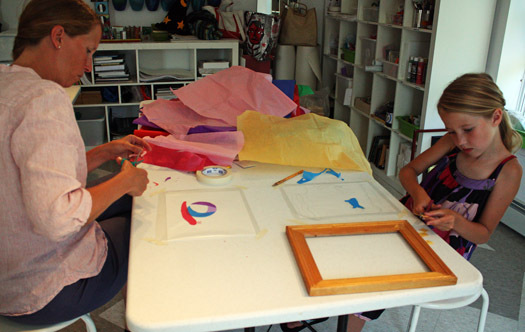 We made stained “glass” windows, which, in the spirit of a bright July day, were ultimately all about the energy of the sun. 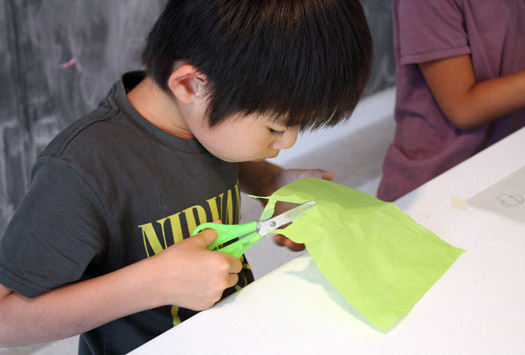 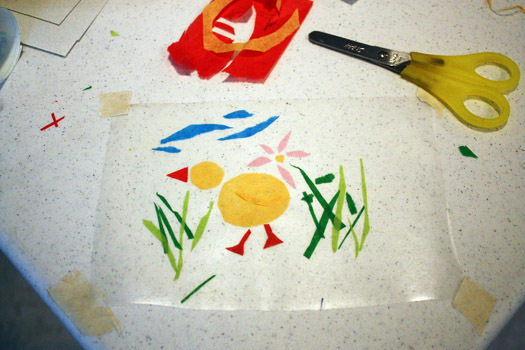 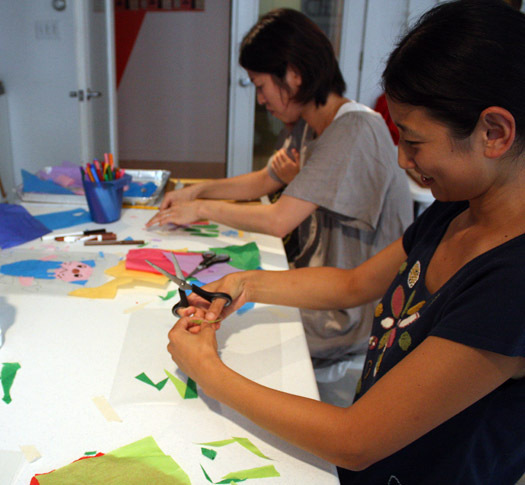 The creative process began with selecting colors and cutting shapes. 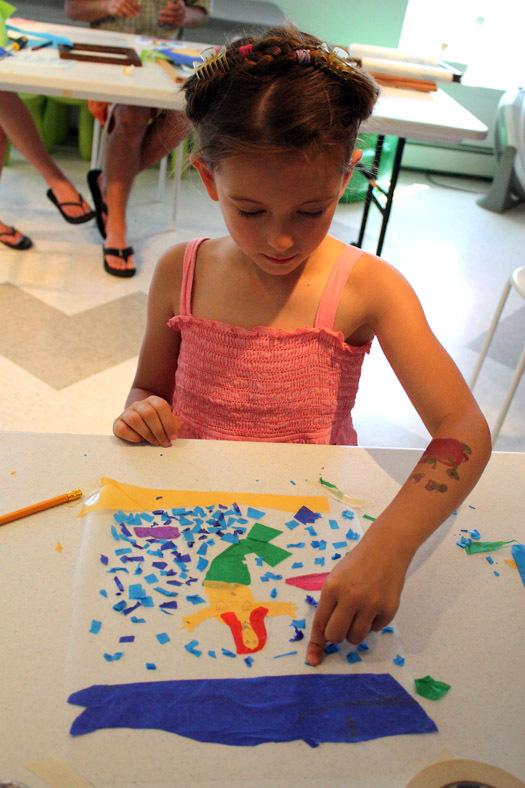 Finishing touches were carefully added. 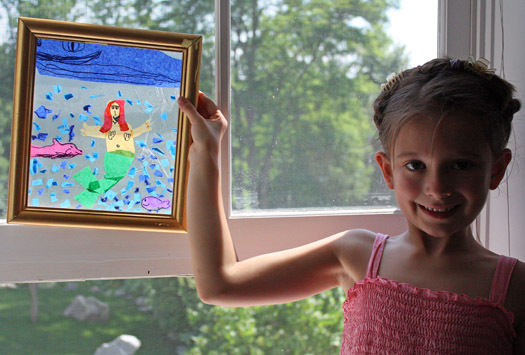 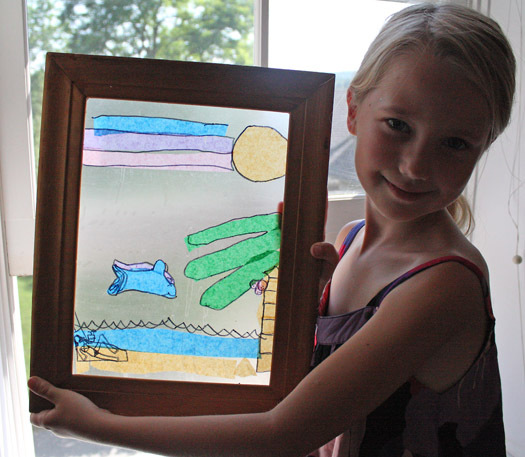 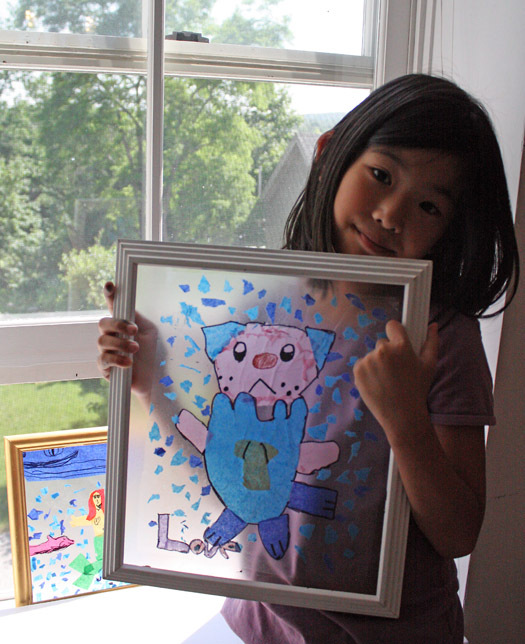 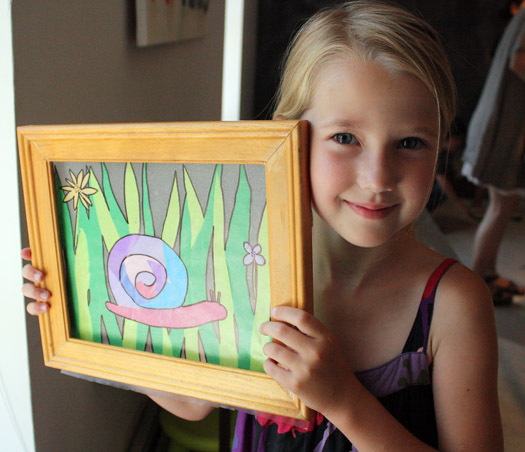 So how cool is it to create your very own window? 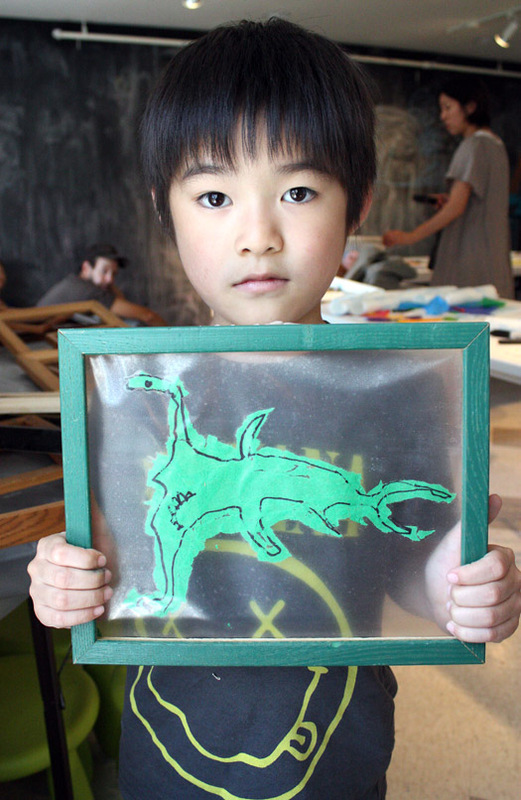 Well… you can make one that reminds you of that hammerhead shark you just saw at the Museum of Natural History in New York. 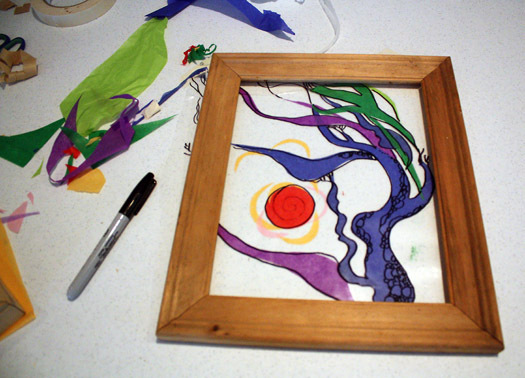 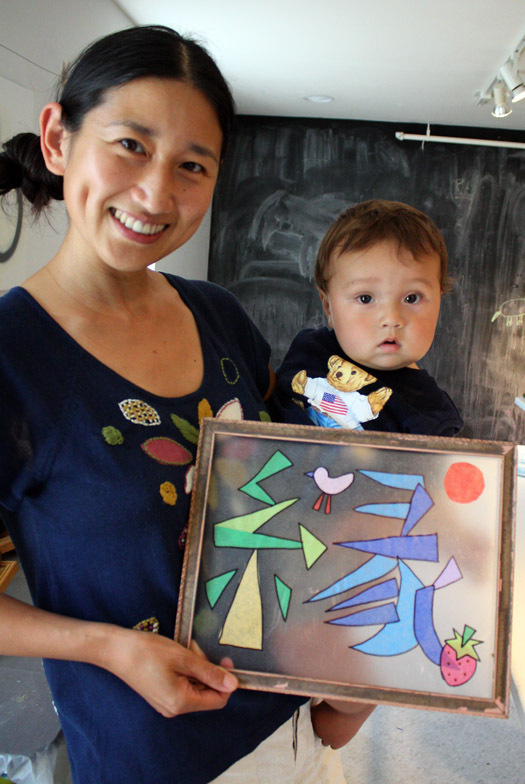 You can make one with your family in mind, to hang somewhere in your home.